This PC was sent to my cousin in 1911. Happy St. Patrick's Day to anyone with a bit of the Irish in them. I think I qualify. My Mothers last name began with red. 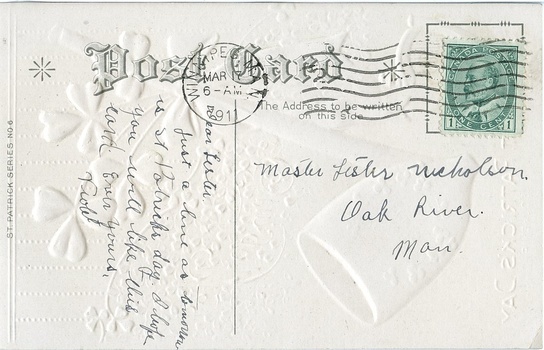 Nice old postcard. Happy Saint Patrick's Day! 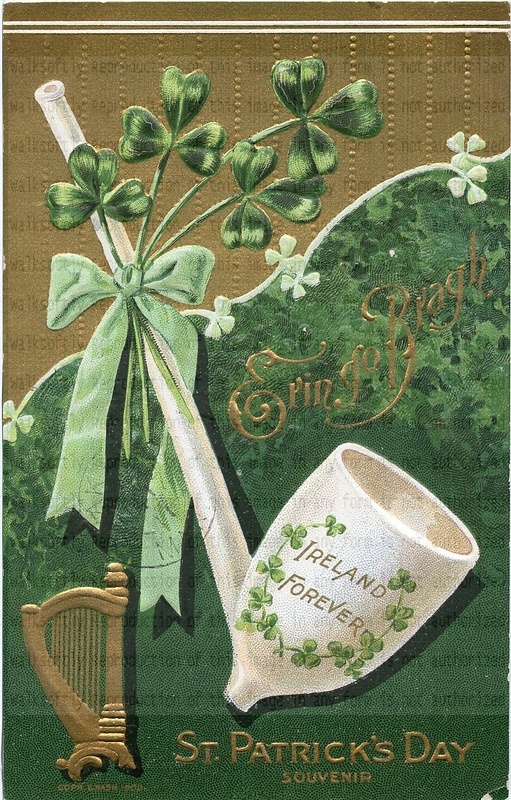 Happy Saint Patrick´s Day walk, I love your postcard!!!! Thanks for the love & the comment nuts! Feel free to tip back a pint! Happy St. Pat's Day!! I'm 1/2 Irish. Thanks for the love & greeting scott, you're twice the Irishman that I am! Happy St. Patrick's Day walksoftly ! Top of the afternoon to you, Dave! Thanks for the love Racer & Micheal. Thanks for the love & kind words Phil, hope you had a wonderful day. "May your heart be light and happy, may your smile be big and wide, and may your pockets always have a coin or two inside!" Thank you Penny, all the best to you as well! Right back at you Kerry, all the best to you on your recovery in the new year! Hello my lovely friend xo I hope you and yours are well. I've missed you!! Well hello there Aim, all is well. Such kind words, you've been missed as well.